TWITTER marked its eighth birthday last week by allowing everyone to see everyone else’s first ever tweets – so journalists took the day off from copy and pasting tweets from celebrity feeds and spent an afternoon copy and pasting celebrities’ ‘first tweets’ instead. My time on that site began with a snarky moan that the Labour Party had brought its Prime Minister Gordon Brown to Camden and only invited PA, which is always a pathetic get-out for big name politicians who want the interested ‘local’ photograph shot without having to research where they are actually going and second-guessing what a local journalist might ask them. But, how did Camden’s increasingly Twitter-mad politicians begin? 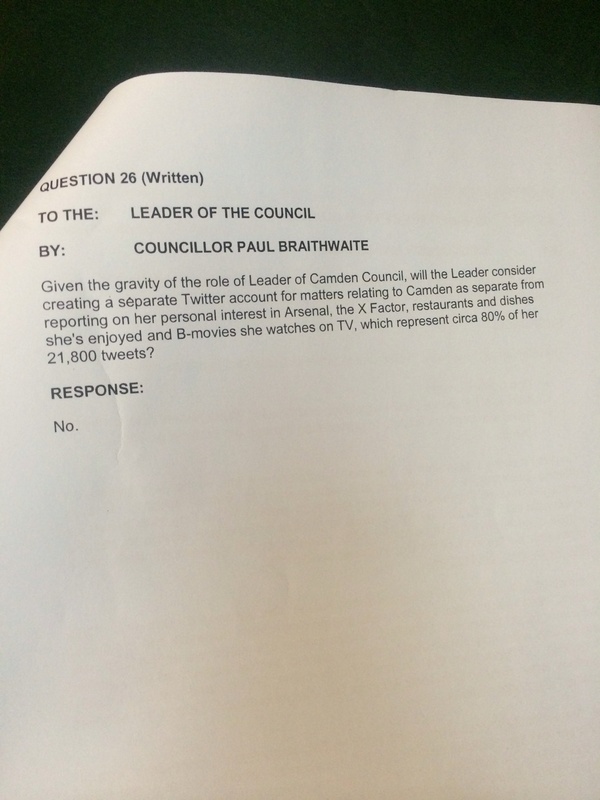 Twenty-two thousand tweets later, Sarah is ranked in the world’s top five percent of heaviest Twitter users, averaging nearly 12 tweets per day since she set off – stats which suggest it did become clearer in the end, if not for Cllr Braithwaite. What a cliche. I’ve written much more banal tweets than that since then.